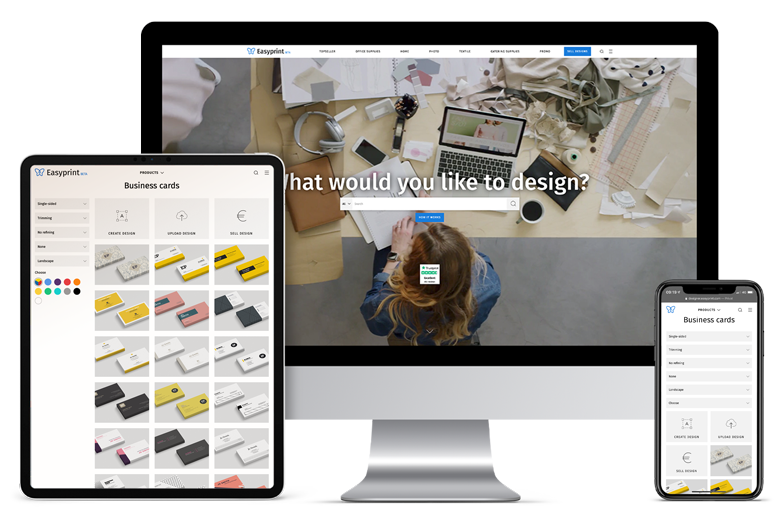 Easyprint is tailored for those smaller businesses, or individuals, who want to design their products themselves, but may not have the design skills in-house. Our FreeDesign tool is easy to use, free of charge, and enables customers to implement their ideas without having any distinctive design expertise. Clear step-by-step instructions and an extensive portfolio of templates for each product category make the portal attractive for both beginners and advanced users who wish to save time. Easyprint covers every need that arises for its core target groups: from business equipment for small businesses to photo and textile products for private customers.